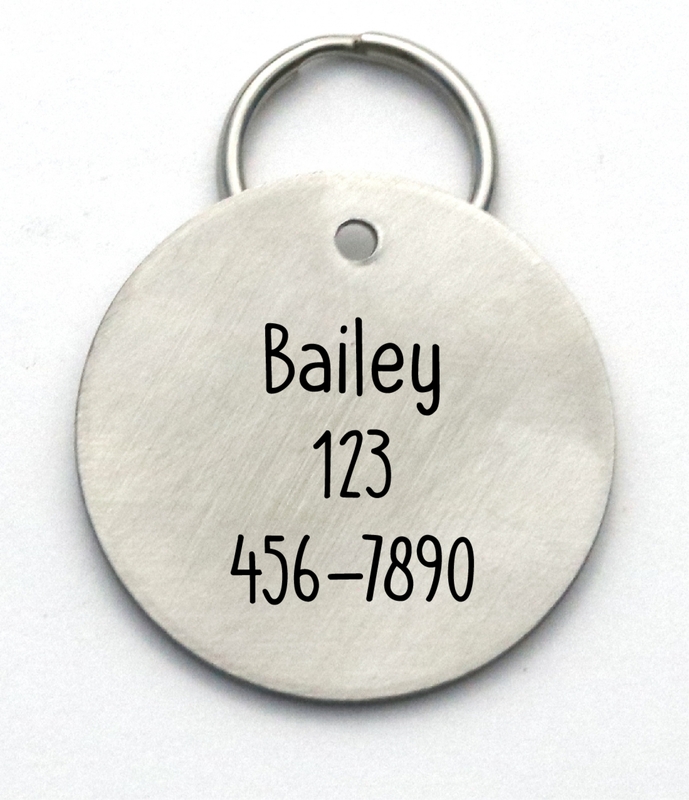 A 1-1/4-inch size large stainless steel engraved dog ID tag. 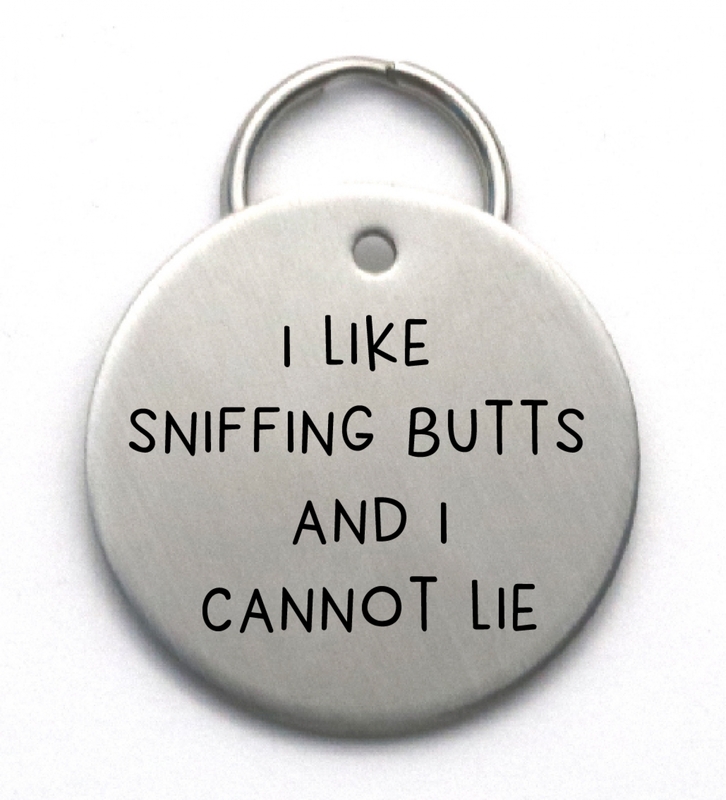 The front will be engraved as shown with "I like sniffing butts and I cannot lie", and then your pet's name and phone number(s) engraved on back. 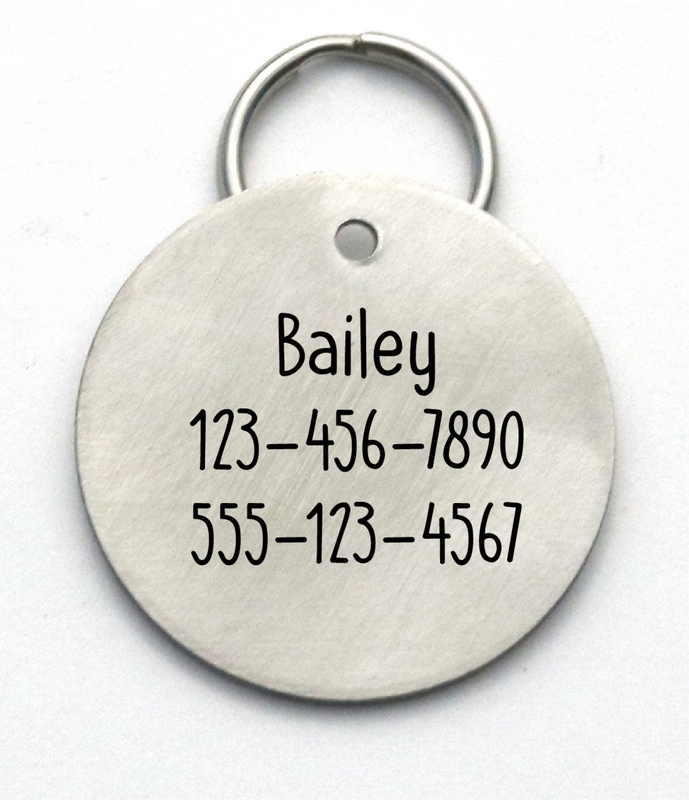 Great Christmas or birthday gift idea for dog lover in your life! 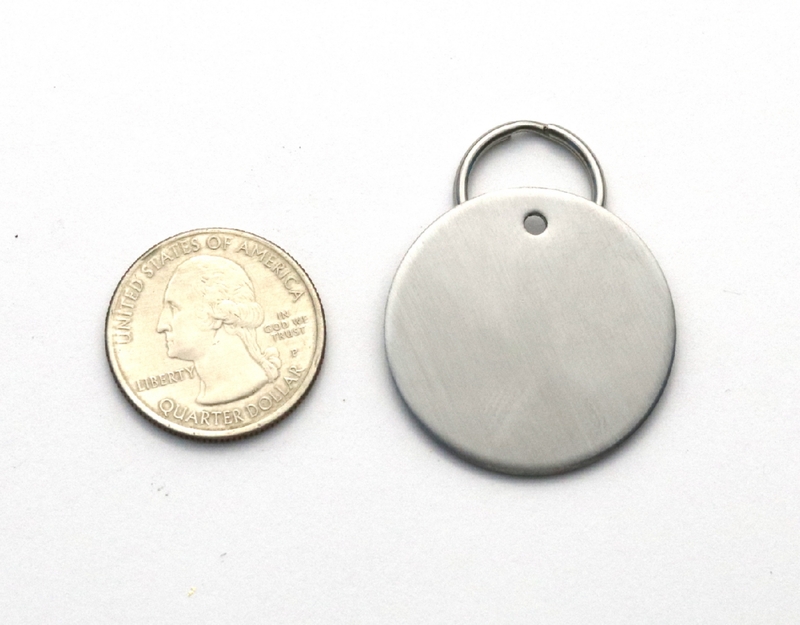 Stainless steel split ring will be included for attaching tag to collar.